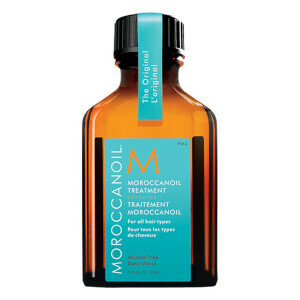 The Moroccanoil Treatment helps to reverse the damaging effects that heat styling, outdoor activities and an oil-poor diet can have on the hair. 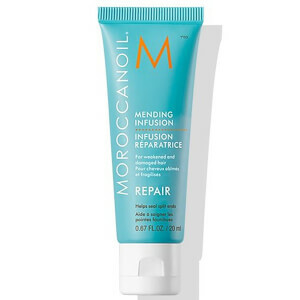 Rich and luxurious, the nourishing oil treatment rehydrates dried out and frizz-prone hair, leaving it soft, smooth and manageable. 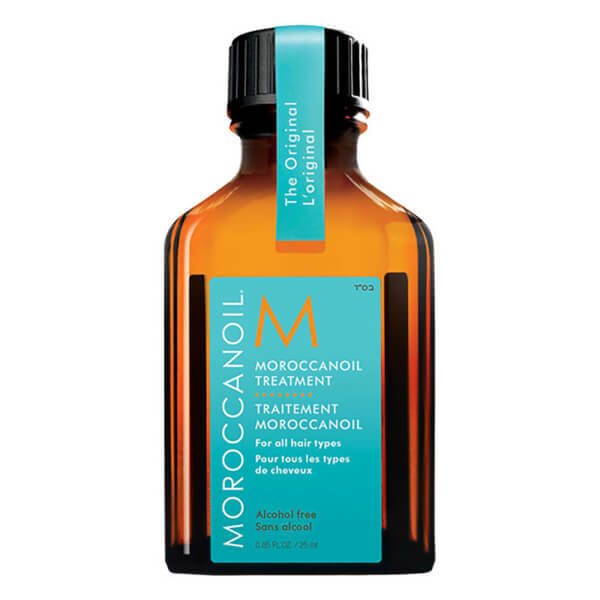 Enriched with argan oil, proteins and fatty acids, Moroccanoil contains high levels of vitamins and antioxidants, which transform hair and leave it looking full of health. It's versatile enough to be used as a conditioning, styling and finishing tool, and won't leave a greasy residue in your freshly-washed hair. This handy 25ml bottle is perfect for regular travellers or for taking to the gym.